Out of all the interesting factors related to bitcoin, the mystery of Satoshi Nakamoto might be the most intriguing storyline. Satoshi Nakamoto changed the world when the bitcoin whitepaper was published online in 2008. Satoshi singlehandedly created the cryptocurrency industry. 50 years from now, we could look back on Satoshi as the person who started the financial revolution and led to the demise of the global banking industry. Today, however, we have no idea who – or what – Satoshi Nakamoto is. It’s one of the internet’s best-kept secrets. 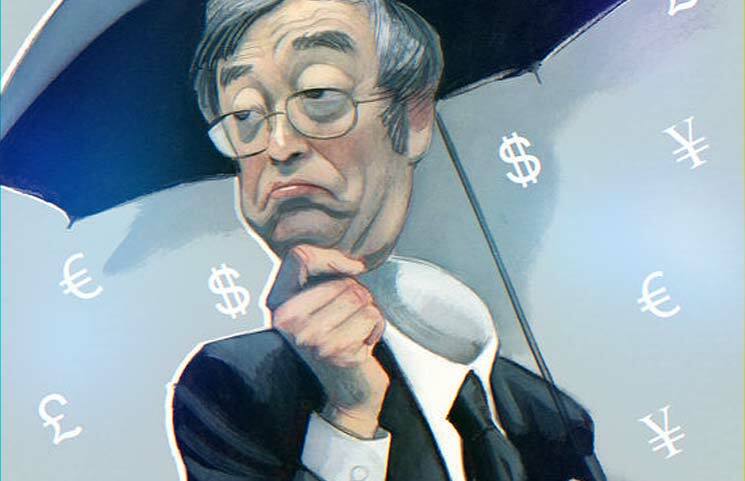 When the bitcoin whitepaper first appeared online, many people assumed Satoshi Nakamoto was the person “he” claimed to be: a Japanese computer programmer born on April 5, 1975. However, it quickly became apparent that Satoshi Nakamoto wasn’t who Satoshi claimed to be. The first clue was how Satoshi typed online and the words he used while doing so. In bitcoin’s documentation and in various forum posts, Satoshi didn’t type like a middle-aged Japanese man. Instead, Satoshi used words like “bloody difficult” and other English idioms. He used English slang and typed in casual English using acronyms like “BTW”. The other clue was the times at which Satoshi would appear and post online. Over the years, Satoshi developed a habit of only posting at certain times of day. These terms were typically in the middle of the night in Japan, but they were normal business hours on, say, the west coast of the United States. Another final clue was Satoshi’s birthdate. April 5, 1975 might seem like an insignificant date. However, it’s one of the most important dates in the history of money. On April 5, 1933, US President Franklin Delano Roosevelt signed two executive orders that would change the financial future of the country. One executive order, EO 6101, established the Civilian Conservation Corps, and the other executive order, EO 6102, made it illegal for US citizens to hoard gold coin, gold bullion, and gold certificates. Overnight, it became illegal for US citizens to hold gold: Americans were forced to own US Dollars. Anyone who held gold or silver faced a penalty of $10,000 or up to 5 to 10 years of imprisonment. The official reason for the executive order was that the Great Depression had led to “hoarding” of physical assets like gold. This hoarding made the recession worse. Some have called April 5 “the most important day in money”. That’s because on April 5, many stopped viewing money as an independent unit under their own control. People started realizing the powerful effect that the government could have on money management. Satoshi listed his birth year as 1975, which is also a significant year in the history of money. 1975 is the year Executive Order 6102 was reversed and gold possession was re-legalized for ordinary US citizens. For 40+ years, owning gold – the oldest store of value in the world – was illegal in the United States because the government said it was illegal. For all of these reasons – the birthday, the login times, and the English idioms – people started to believe Satoshi Nakamoto might not be a quiet Japanese programmer in his 30s. Some people started to believe Satoshi Nakamoto was a single computer programmer based in the United States or Australia. Others started to believe Satoshi Nakamoto was a group of people. Some people even insist Satoshi Nakamoto is a government-based institution – like the US Federal Reserve. So who is Satoshi? Let’s find out. Why does Satoshi’s identity matter? Aside from obvious reasons like curiosity, Satoshi Nakamoto is the most anonymous billionaire in the world today. Depending on the fluctuating price of bitcoin, Satoshi Nakamoto is worth anywhere from $5 billion to $10 billion on an average day. Satoshi retains control of approximately one million bitcoins on the bitcoin blockchain. Satoshi’s private keys have become legendary. Everyone can see Satoshi’s bitcoins on the blockchain. Those bitcoins, however, have never moved. Satoshi’s net worth also provides good incentive to never reveal his identity: anyone worth that much money would instantly become a target. Whether Satoshi is an individual or group, it’s easy to see the incentive to stay anonymous. We mentioned Nick Szabo’s name earlier in this chapter. Nick is a reclusive American computer programmer best-known for creating the world’s first idea for a cryptocurrency. Szabo created BitGold in 1998. The project laid the foundation for a cryptographically-secured online currency. However, the currency was never launched. Szabo, to his credit, has continuously and vehemently denied any connection to Satoshi Nakamoto and has no public connection to the bitcoin project, although he remains involved in the crypto industry to this day. Dr. Craig S. Wright is the only individual on this list to actually claim to be Satoshi Nakamoto. Everyone else has publicly denied any connection to Satoshi. Dr. Wright chose a different path. In December of 2015, a number of media outlets identified Dr. Wright as the creator of bitcoin. Dr. Wright refused any press statements, which of course led to increased speculation. Soon after, Dr. Wright’s house was raised by Australian tax authorities, sending speculation into a feverish pitch. In May 2016, Dr. Wright finally admitted the truth in a blog post: he was Satoshi Nakamoto. Hackers attacked Dr. Wright’s emails, uncovering an email that revealed Satoshi Nakamoto to be a joint pseudonym used by Dr. Wright and David Kleiman, a computer forensic science specialist who has since passed away. Dr. Wright and Kleiman were business partners (in late 2017, meanwhile, it was announced that Kleiman’s family was suing Dr. Wright for bitcoins the pair supposedly mined during the early days of bitcoin). How did Dr. Wright prove he was Satoshi? Well, he couldn’t. Dr. Wright posted proof online, but that proof was quickly debunked by members of the Bitcoin Core development team. They claimed anyone could have made that proof, and there was nothing within that proof to show that Craig was definitely Satoshi. The raid by Australian tax authorities, meanwhile, also had nothing to do with bitcoin. The Australian government claimed they were investigating Dr. Wright’s general business dealings for reasons outside of crypto. Ultimately, Dr. Wright would later withdraw his claim of being Satoshi Nakamoto. The entire chapter remains a bizarre blip in the history of bitcoin. Some continue to believe that Dr. Wright is Satoshi. There’s no doubt he was there during the earliest days of bitcoin’s launch (he was one of the first to mine a large amount of bitcoin), but it’s unclear how he was connected to the project – if at all. Hal Finney is an American computer scientist who passed away in 2014 at the age of 58. Finney is best-known for being the first person in the world to receive a bitcoin. He was the recipient of the first bitcoin transaction, which was sent from Satoshi Nakamoto to Finney in January 2009. Finney has another claim to fame: in 2004, Finney created the first reusable proof of work system, years before bitcoin’s whitepaper was published online. Finney has explained his side of the story in a forum post here. He claims to have met Wei Dai and Nick Szabo, both of whom were heavily involved with early cryptocurrency efforts prior to the launch of bitcoin. Finney also admits he was “probably” the second person after Satoshi to run the bitcoin software. He mined block 70-something of the bitcoin blockchain. At one point, he received an email from Satoshi asking to send 10 coins as a “test” of the network. In January 2009, Finney became the first person in history to receive bitcoins in a transaction. He later admitted that he forgot to pay Satoshi back. Finney also kept an ongoing email thread with Satoshi where he detailed software bugs. “I thought I was dealing with a young man of Japanese ancestry who was very smart and sincere,” explains Finney in one of his final forum posts. Finney was diagnosed with ALS in 2009. By 2013, according to a forum post written online, Finney was essentially paralyzed, but he continued to code, contributing to the bitcoin ecosystem by developing projects like bcflick, a security protocol for bitcoin wallets. Hal publicly denied being Satoshi Nakamoto and denied any connection to bitcoin’s development. Here’s where things get weird: eventually, the media discovered that Finney was the world’s first bitcoin recipient. They traveled to his house to interview him. They started talking to his neighbors to see what they knew about Finney, the alleged billionaire living next door. That’s when the media met someone living next door to Hal Finney named Satoshi Nakamoto. There’s a real man named Satoshi Nakamoto living in the world today (in fact, there are several in Japan). One man lives so close to Hal Finney that it’s either the most extraordinary stroke of luck on the planet or it’s not a coincidence. Dorian Nakamoto lived 2 blocks away from Hal Finney. He was born as Satoshi Nakamoto. Today, you’ll see him called “Dorian Satoshi Nakamoto” online or “Dorian Nakamoto”. Dorian Nakamoto does not appear to have been connected to the development of bitcoin. He has vehemently denied any involvement with the project. Nevertheless, the fact that a man with such a unique name lives right next door to the guy who first developed a proof of work algorithm and received the first cryptocurrency transaction seems like an extraordinary coincidence. Right when Dorian Nakamoto hype was reaching its climax, something dramatic happened. For the first time since 2009, Satoshi Nakamoto’s forum profile came online to write a single post. That post simply said, “I am not Dorian Nakamoto.” Posted on March 6, 2014, the post was Satoshi’s first since February 18, 2009. Funnily enough, Dorian Nakamoto periodically appears at bitcoin events to this day. He’s a celebrity within the space. He insists the entire situation is a mysterious coincidence. The four figures listed above all have the best claims to being Satoshi Nakamoto. However, some people have offered other theories online. Some people have pointed to Elon Musk as being the real Satoshi Nakamoto, for example. Others have pointed to a Finnish sociologist or an Irish cryptography student as being Satoshi. Dave Kleiman, the late business partner of Craig Wright, is also frequently mentioned as a possible Satoshi. The same can be said for Gavin Andresen, the developer to whom Satoshi transferred control of bitcoin’s code after Satoshi stopped publicly contributing to the project. The theories get more outlandish from there. Some people claim the US Government launched bitcoin, for example, to combat the failing US Dollar. The US government – under the guidance of Obama or whatever other figure conspiracy theorists choose – launched bitcoin to ensure the US retained power over the economic future of the world. Or something like that. Others claim the US Federal Reserve privately launched bitcoin for the same reasons. Some people claim it was China. Others claim it was the Rothschilds, the Illuminati, or similar groups. Ultimately, the identity of Satoshi Nakamoto is one of the greatest mysteries in the history of the internet, the history of currency, and the history of software development. We might never know the identity of Satoshi Nakamoto. Or, Satoshi could step from the shadows and publicly reveal himself tomorrow. Like most other aspects of bitcoin, it’s a complete mystery what the future holds.